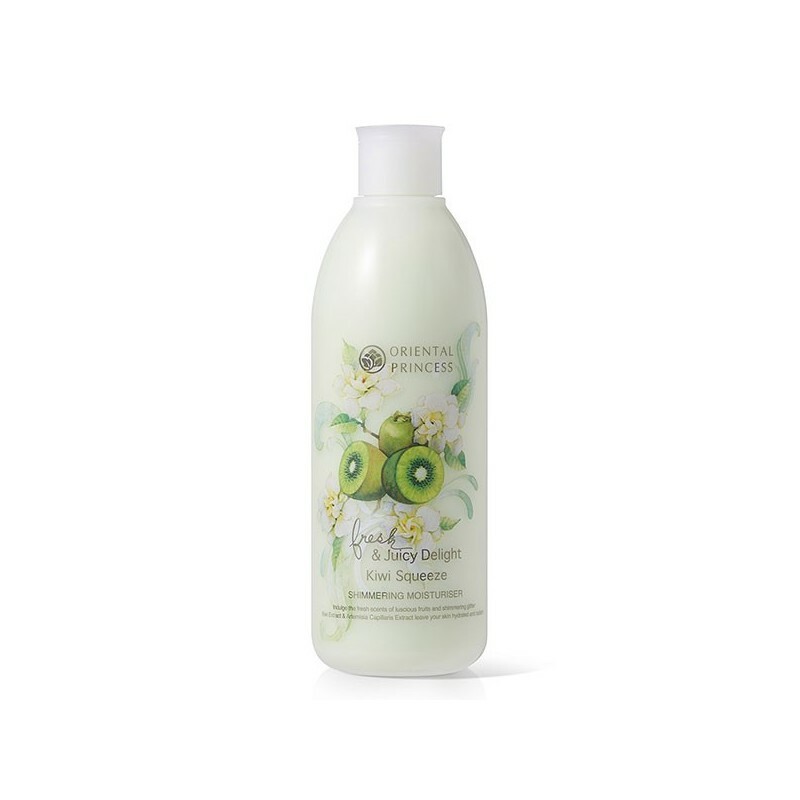 Indulge your senses with the fresh and sweet scent of juicy kiwi and the creamy soft texture of the Kiwi Squeeze Shimmering Moisturiser. Enriched with nutrients from rich Kiwi Extract, the moisturiser leaves your skin feeling smooth, hydrated and nourished with a shimmery effect. 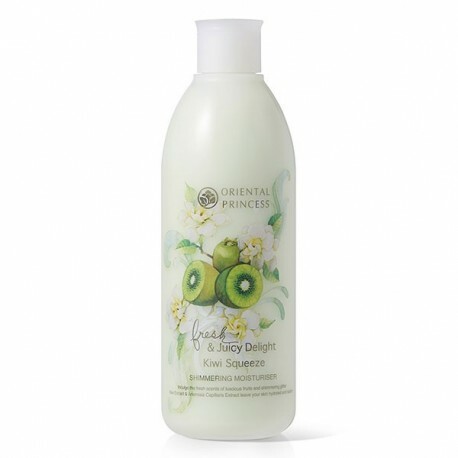 Apply daily after a shower and anytime during the day to keep your skin soft and smooth.